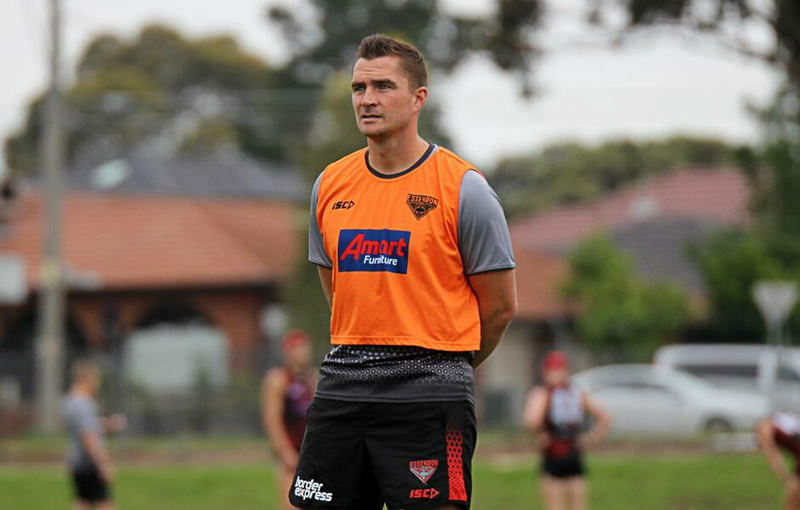 Essendon will be welcoming a former fan favourite into the fold in 2019 with former player Ricky Dyson taking over the role of VFL backline coach. Following a two-year stint with the Bundoora Bulls in the Northern Football League that included a premiership in his maiden season, the former Bombers midfielder returns to The Hangar in a new capacity. “It was something that really interested me,” Dyson said about his initial reaction to being approached by Essendon. Dyson played 114 games for the Bombers between 2004 and 2012 and will assume the role vacated by Wayne Schultz, who has moved into Essendon’s VFL Women’s program. If there’s one pillar of his coaching that he is looking to transpose from Bundoora to Essendon, it is his passion for developing players. “As a player you work really hard to improve yourself, but I think that as a coach it can be even more rewarding putting time and effort into people and seeing them achieve their goals," he said. Dyson is just over a month into his time at The Hangar and while admitting to feeling the initial nerves of joining a new program, he says it’s hard not to feel impressed by what he has seen. Dyson is joined by former development coach Matt Firman, who will assume the position of forward coach for 2019. “I just want to throw myself into the program with the expectation to help every player on the list and give them every opportunity to succeed," Dyson said.